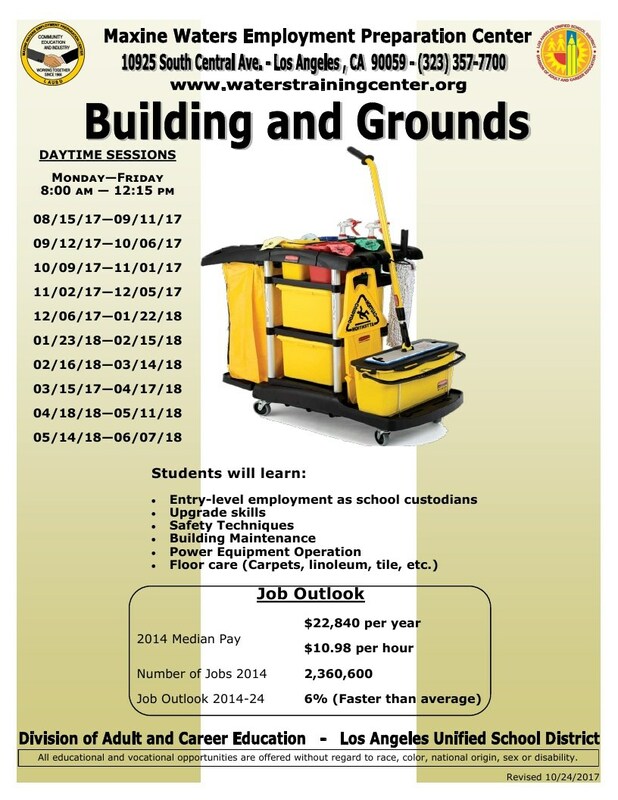 This competency-based course prepares trainees for entry-level employment as school custodians, upgrades skills, and prepares employees for promotion. This competency-based course prepares trainees to operate various heating, ventilation, and air conditioning equipment. Instruction includes principles and techniques of various low-pressure boiler operations, fuel systems, unit heating systems, ventilation systems, and air conditioning systems. 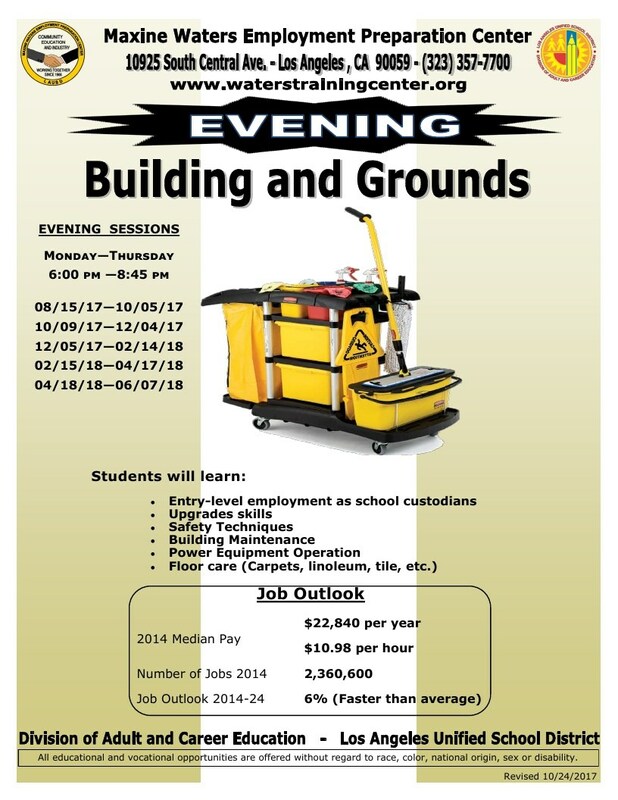 This competency-based course prepares trainees for entry-level supervision positions as school custodian supervisors. 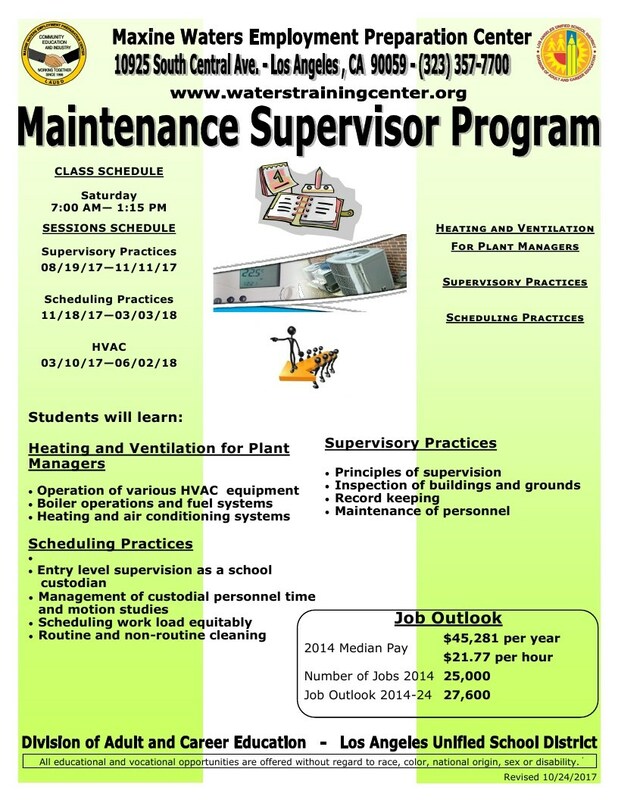 Instruction includes practical training in the management of custodial personnel; in-depth study of time and motion studies; scheduling work loads equitably; scheduling of routine cleaning; scheduling of non-routine cleaning. This competency-based course provides training in principles of supervision, inspection of buildings and grounds, record keeping, and management of personnel.